Ivory Ella makes elephant-printed clothes, jewelry, and accessories for men and women in an effort to raise money for research, prevention, and awareness of ivory trade. Ten percent of all profits go to Save the Elephants, and the company has donated more than $285,000 since it opened in April 2015. Toms is a shoe company known for giving one pair of shoes to a child in need for each pair purchased. It partnered with National Geographic's Big Cats Initiative to reverse the decline of big cats like lions, cheetahs, and jaguars around the world. As well as donating shoes, Toms is now partnering with nonprofit animal conservation organization to raise funds and awareness for animal protection. Shop the collection here. A percentage of a purchase at I Heart Dogs will help feed shelter dogs. The company lets you know your impact by telling you how many animals the product you purchased feeds. For example, short-sleeved shirts feed seven, sweatshirts feed fifteen, and mugs feed five. It offers a huge selection of funny and cute designs, and donated 214,779 meals to dogs in January through Rescue Bank. Bangle Up is a French jewelry brand. 50% of the profits from their bangles are donated to Elephant Family (a charity that helps protect Asian elephants). Savannah is a company that's aiming to save Africa's endangered lions; 10% of profits each month go to the Wildlife Conservation Network. Hendrick & Co. sells apparel and accessories for men, women, and dogs to support animal rescues and shelters. It has partnered with over 400 animal shelters across the United States and donated over $750,000 to help animals. Each month, $10 from each product purchased goes to its partners. The Elephant Pants is a corporate sponsor of the African Wildlife Foundation to prevent elephant poaching. Right now, its donations are going to fund the rangers and parks used to protect the elephants, and it's donated over $190,000. Plus, its seamstresses in Thailand make double the standard wage and are given health care. Dsenyo is a fair-trade gifts company that aims to create jobs in communities where job opportunities are scarce. This jewelry collection is made from snare wire traps that were collected on anti-poaching patrols in Zambia. With every piece of jewelry sold, the company donates $5 to conservation groups in Zambia that are fighting poaching. n:Philanthropy is a fashion company that never uses fur or leather, and 10% of profits are donated to the SPCALA and the Children's Hospital Los Angeles. Founded in Costa Rica, Pura Vida makes stylish, handcrafted bracelets and accessories (think rings, necklaces, beach blankets, and more!). Each purchase helps provide jobs to over 200 artisans worldwide, and their charity collection donates 10% of proceeds to important causes. Sevenly features a different cause each week, and either $7 or 7% of the "Cause of the Week" items get donated to a charity. Once the week passes, you can still find products related to the previous causes in its shop. Its animal charities are Gentle Barn and Project Aware. Freedom of Animals has three different charities it donates to — 10% of the purchase price of the tassels goes to the Ian Somerhalder Foundation, which aims to positively impact the environment and its animals; 10% of sales from the elephant necklace goes to elephant conservations in Africa; and the bags are made with eco-faux leather and a portion of sales will go to the Sheldrick Wildlife Trust in Kenya. 13. Love Brand & Co.
Love Brand & Co. is a beachwear company dedicated to helping elephants. It donates 5% of all sales to Elephant Family, The David Sheldrick Wildlife Trust, and Tusk Trust. KôZ is a hat company advocating for global change. It donates to eight different efforts (such as hunger in Africa and music programs in schools), and customers can choose which cause to donate to. For its animal effort, it donates 10% of profits to Friends of Animals to support animal rescue and rehabilitation. Fetch Eyewear donates 100% of profits to the Pixie Project (which supports animal rescue and adoption). 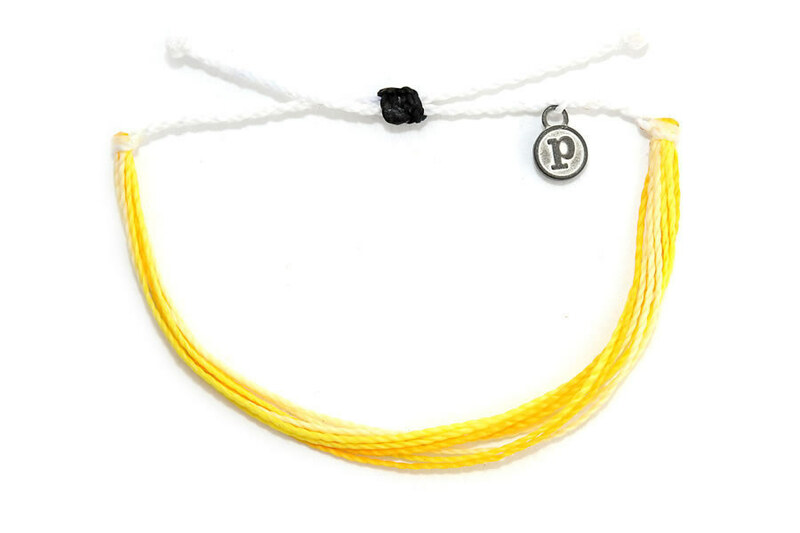 DivinityLA is a company in Los Angeles that makes semiprecious stone bracelets with a purpose. 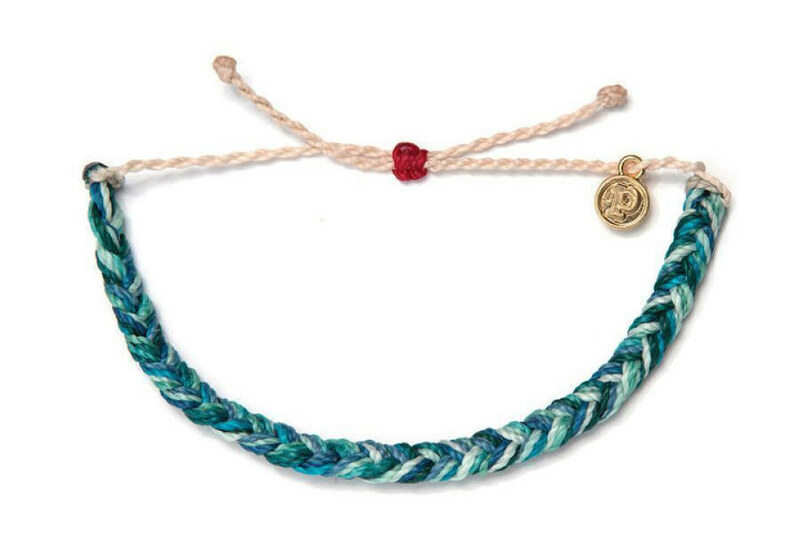 With the purchase of each bracelet, $1 is donated to a designated charity: The "Panda" design proceeds will go to Pandas International, the "Sea Turtle" proceeds will go to the Sea Turtle Conservatory, and "Ella" proceeds will go to the International Elephant Conservation. Animal Behavior is dedicated to protecting the Amur leopard (currently the rarest cat in the world) and 5% of the company's sales go to a charity trying to prevent their extinction. Hashtag Collectibles is a Mountain View–based company of artists who create products based off of fun things on the internet. The blobfish was named the "world's ugliest animal," so they made a stuffed animal version. However, these pink fish are going extinct, so 10% of profits are being donated to the Sea Shepard Conservation Society to help save the blobfish from extinction.